So I have been working hard at coming up with images that are just as cute as those you would find on a Cricut Cartridge. I know so many of us ladies and gents wanted and felt we really needed cartridges. Well, not anymore. SVGs were been born and no longer do we need to purchase expensive cartridges. Sooo, drum rolllllllls please! Coming soon, ‘The Beach Bum Paper Dolls.’ This cute little set comes with 20 die cuts that you can easily put together for a scrapbook layout or card. I will be posting some cards and layouts using these cute little kids, shortly. 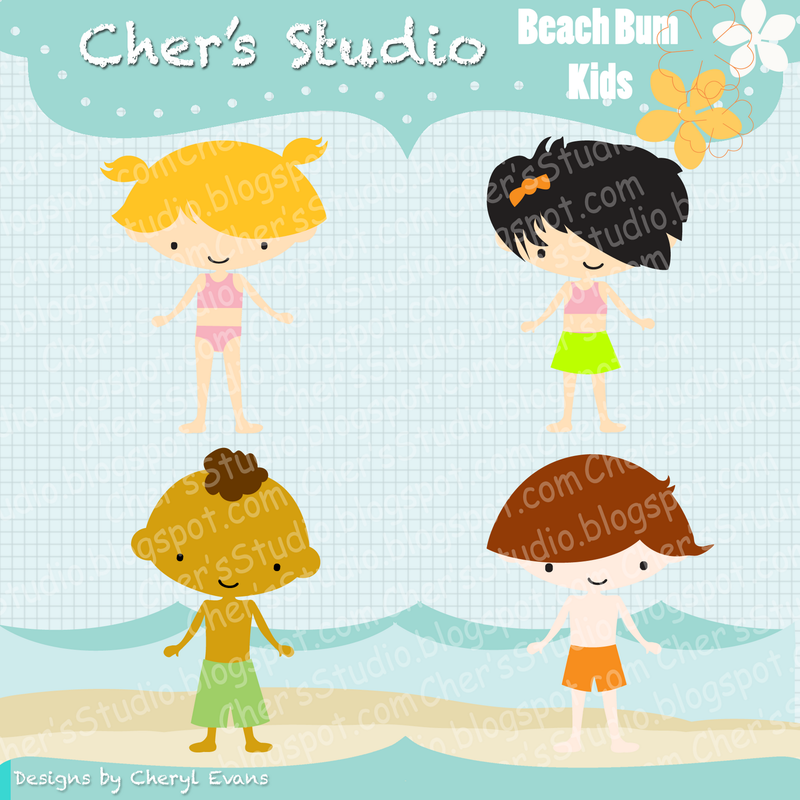 The Beach Bum Paper Dolls will also come in the file of your choice and includes SVGs, WPC (Pazzles), STUDIO (Silhouette), GSD (KNK and Silhouette), MTC, and SCAL2 & 3. Stay tuned! Love these kids! So modern and cute! Can't wait to play with these! Cant wait to see what your layouts look like! Thanks everyone! I should have more new on these little guys and girls before the week is out!